With the beginning of the new millennium Despot Slav Hotel start working in the ancient Bulgarian town of Melnik. Gritty towers and pyramids eroded in fantastic shapes, modeled by the wind surround the town in all directions. Its name originates from them, "mel" means a sandstone. 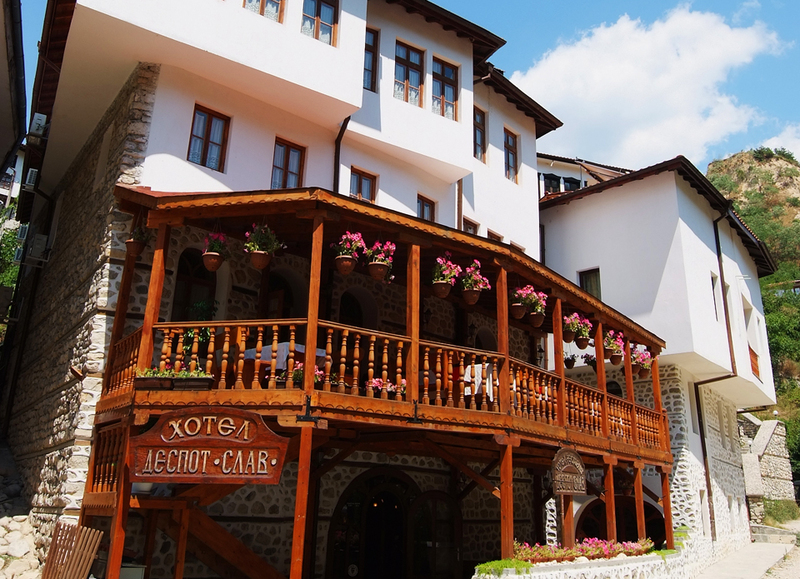 Hotel is named after Despot Slav, the ruler who in the 13th c. reigned over the independent southwestern Bulgarian principality with Melnik as a capital city. During Despot Slav`s reign in the town arts and trades - mural painting, wood-carving, goldsmith`s trade, smith`s trade, masonry, etc. flourished, as well as the free trade with Dubrovnik and other highly developed cultural and commercial centres. Throughout the fourteen centuries of its existence Melnik - the smallest town in Bulgaria, has preserved multitudinous monuments of culture from Thracian, Roman, Byzantine and Ottoman Ages.